I've been reading The Dark Night of the Soul by St. John of the Cross. I've heard of and admired and used the phrase and concept, but had never read the actual work on which it is based. When it is referenced, it tends to be painted as this time of despair and doubt, which is a big part of it, but the bigger purpose of it, John writes, is a purging of sin and reliance on easy and over-exuberant religious practice. Through the experience of a Dark Night, we do indeed face a time of deep questioning, but it serves a purpose and is something to be embraced and faithfully worked through. We took Coffeeson to see The Lorax. I was a little skeptical, because movies based on Dr. Seuss have widely diverted from the books in the past and truly just haven't been all that good. This, however, was something else. We meet a boy named Ted, who lives in a city called Thneedville: a plastic, fake version of the world with no real trees. He goes in search of a real tree and meets the Once-ler, who tells the story of how the desolate existence outside the city happened, which is the story in the book with some alterations. Not only do we see the Once-ler's face, but we meet him as an idealistic young man who just wants to share his invention with the world. However, success turns him into a cold, uncaring version of himself, and it's not until he destroys the beautiful place he discovered that he realizes what he's done. The movie has such great pacing and storytelling; it never tries to be overly clever, it never seems like it tries too hard to keep the adults interested. It was a wonderful adaptation. We also went to the midnight showing of The Hunger Games, which is the sort of thing that renders the "Coffee" portion of this blog a necessity this morning. There's always something that has to be minimized or cut in a film adaptation of a book, but of course the visual element--one artist's rendering of something you're encouraged to imagine yourself--is added. The violence is portrayed well, acknowledged without being graphic or celebrated. 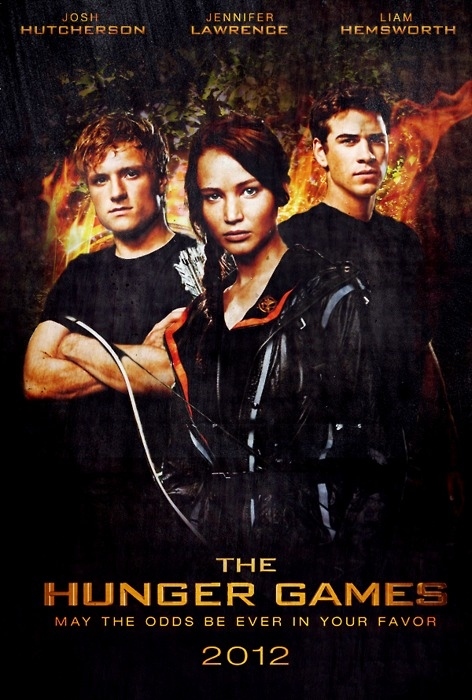 Jennifer Lawrence does a great job as Katniss. Donald Sutherland, of whom I was skeptical as President Snow, brought me around particularly through some added scenes between him and Seneca. Overall, the movie was excellent. Coffeewife and I attended WWE Monday Night RAW in Cleveland the other week, and I must say that it might have been the most enjoyable outing that I've had at a live WWE event. All three of my all-time favorites were there: Shawn Michaels, The Undertaker, and The Rock, and it was part of the build-up to Wrestlemania so there was a lot of plot development regarding that. We also apparently broke some sort of attendance record, so that was kind of cool too. Through the blog Steampunk Theology, I discovered a band called Abney Park. Here's their song "Airship Pirate:"